The great oxygenation event is taking place. Oxygen produced by cyanobacteria or ’blue-green algae’ oxidizes methane in the atmosphere into carbon dioxide and climate cools. Earth is totally covered by ice. Iron deposits onto the ocean floors in alternate layers of unoxidized and oxidized forms. This shows that the amount of oxygen in the oceans fluctuates over time. The oxygen produced by cyanobacteria or ’blue-green algae’ was released into the atmosphere. The climate cooled very strongly: The oxygen oxidized the methane in the atmosphere into carbon dioxide, which is a much weaker greenhouse gas than what is the methane. The solar radiation level was only 80% of its current level, and therefore the reducing methane level lead into large glaciations. 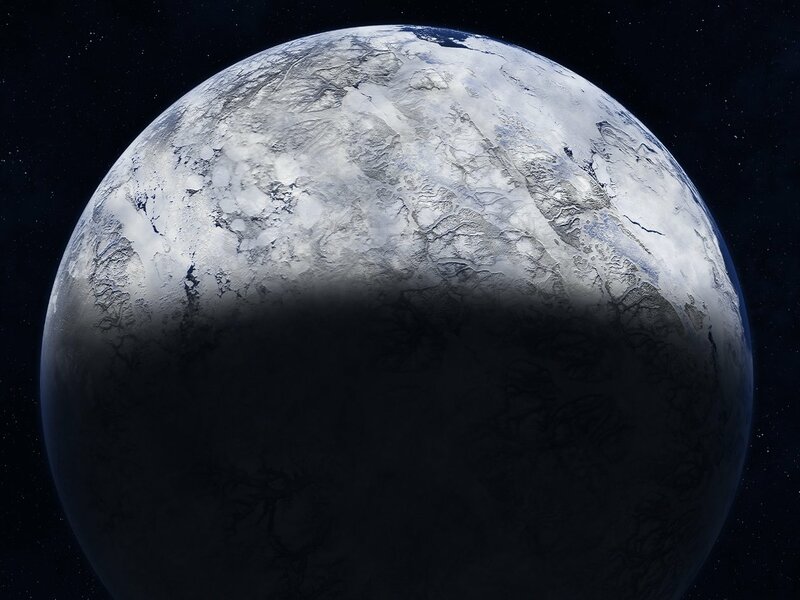 Large glaciations effectively reflected the solar radiation back into space, and thus the cold climate condition strongly started to enhance itself. The whole Earth was covered by ice. This Huronian glaciation lasted for 300 million years and its end was probably related to the volcanic activity. In the oceans, the rising oxygen level caused the oxidation of the dissolved iron II into insoluble rust (iron III), and produced so called banded iron formations. 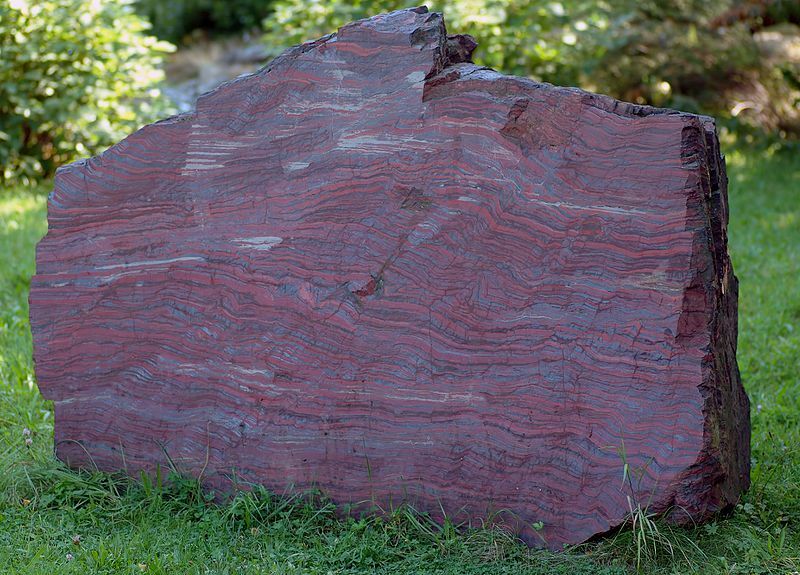 These banded iron sediments contain most of the minable iron on the Earth.